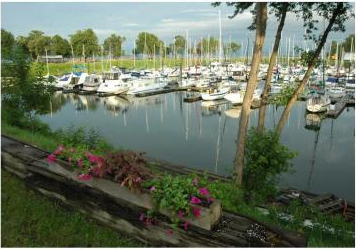 To maintain the natural beauty of Hansen's Harbor and the surrounding environment, maintaining the eco-system through sound environmental policies, while providing people with a SAFE positive family recreational experience. With sound environmental practices, our concern for the customers SAFETY & recreational enjoyment, we will be able to offer the relaxation you expect in a natural and lush recreational setting. To provide a SAFE, positive and fun recreational experience while maintaining the natural beauty of the surrounding area of the water and land. Hansen's Harbor is committed to a clean and healthy environment. We will provide safe, reliable and responsible service in an environmentally sensitive and responsible manner. We believe that a sound environmental policy contributes to our competitive strength and benefits our customers and employees by contributing to the overall well being and economic health of Lake Pepin and the Mississippi River. Hansen's Harbor reduces, reuses and recycles materials. 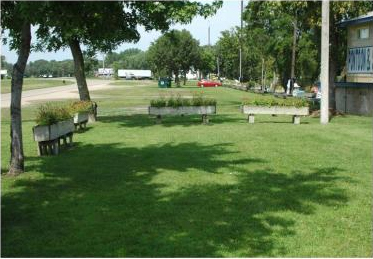 Check out our grass Parking lots! Our docks are made up of 75% recycled material. Grass parking lots reduce the area temperature by almost 15 degrees over asphalt parking lots. Grass parking lots absorb storm water to prevent run off into our rivers. Garbage is incinerated to produce the power that is used at the marina. Ceiling tiles used in the store have been recycled from other celiing tiles and used paper pallets. The docks are built from 75% recycled materials from other docks and railroad pontoon from the area. Hansen's Harbor uses large grass buffer strips to filter rain water. Trees turn the Carbon emissions into oxygen that you breathe.